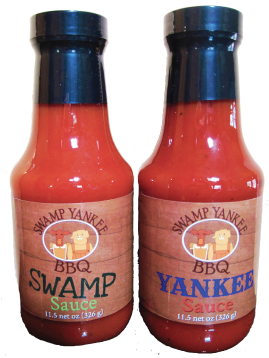 Our specialty sauces and rub are available to order. They make perfect gifts – that is if you don’t use them before you give them away! Contact us to order from us direct or pick some up at Anything Goes in Richmond or Uncle Tom’s Market in Brunswick. This thick, tomato based sauce has a kick that’ll make you want more. Our vinegar based based sauce has just enough tang to remember why you wanted it. Rub it, Season it, Spice it. Make whatever you put it on happy!